Should you decide to leave NIGHT WATCH SECURITY SERVICES LTD, notice of your resignation should be given in writing to your line manager, stating your final date of employment. The amount of notice you are required to give is set out in your contract of employment. An early leaving date may be mutually agreed, at the absolute discretion of your line manager. A copy of your resignation letter will be forwarded to (name), who will formally acknowledge it, confirm your final day of employment and provide details of your final payments and issue your P45. Your line manager may invite you to attend an exit interview or ask you to complete an exit questionnaire. Further details of these are given below. On your final day of work it will be necessary for you to return to your line manager any items of clothing, materials, equipment, passes, keys, etc which have been issued to you during the course of your employment with NIGHT WATCH SECURITY SERVICES LTD . This will include (list any items belonging to NIGHT WATCH SECURITY SERVICES LTD which are currently in the possession of the employee). It is both regrettable and potentially expensive when an employee decides to leave NIGHT WATCH SECURITY SERVICES LTD. It is therefore essential that we find out the reason why, if we are going to avoid losing good people in the future. Once an individual decides to leave, they are likely to give a frank and honest input which is invaluable to NIGHT WATCH SECURITY SERVICES LTD in identifying why people leave and giving ideas which can be implemented to change NIGHT WATCH SECURITY SERVICES LTD for the better. If you decide to leave NIGHT WATCH SECURITY SERVICES LTD, once you have officially handed in your notice, you may be approached by your line manager who may ask you to attend an exit interview or complete an exit questionnaire.  This interview/questionnaire represents an ideal opportunity for NIGHT WATCH SECURITY SERVICES LTD to gather information about why you decided to leave. You may wish to comment on your place of work, the people you work with or the job that you do. All of this information is important to NIGHT WATCH SECURITY SERVICES LTD. With your permission, selected information gained from the interview or from your completed questionnaire will be discussed with the management of NIGHT WATCH SECURITY SERVICES LTD. The aim of this is to ensure that any problem issues can be discussed and resolved before you leave.